Sooner or later the time comes when brand change is necessary. Recognizing when this is the case may seem difficult. But in the life of a business, there are important markers that indicate when change is needed. On average, organizations and brands change or update their brands about once every seven years. This often involves restyling logos, color palettes, visual language, and the photographic style, in addition to strategic repositioning. In a small number of cases, the name of the organ­ization is also changed during this process. Although there is usually one leading reason for making the change, the motivation behind a rebrand­ing project is often a combination of various factors. Here is an overview of the ten most common reasons for a corporate rebranding. For the most part, changes in business ownership, such as mergers, ac­quisitions, and spin-offs, result in an immediate rebranding. The aim here is not only to make the change visible, but also to comply with legal and regulatory requirements. In the case of spin-offs—sometimes termed demergers—the newly created company is obliged to develop its own brand. This makes clear that it is no longer part of the larger organization. Over the past few years, this process has taken place at grid operators, which emerged from their energy companies. Some results have been the creation of companies such as Enexis, Alliander, and Stedin. There are several possibilities when it comes to mergers and acquisitions. 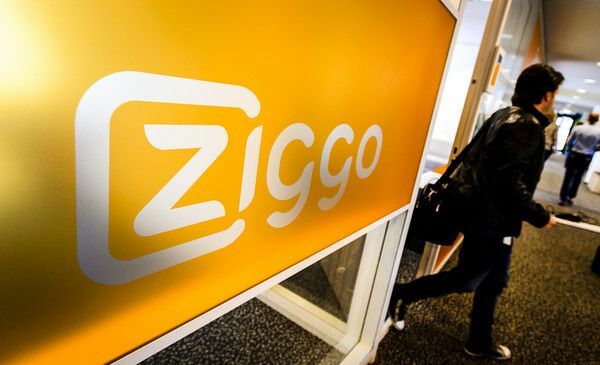 The new company may develop a completely new brand, as in the case of @home, Casema, and Multikabel, which together became Ziggo. In other cases the name of one of the parties is used, e.g. Getronics, which continued under the KPN brand following its acquisition by KPN. If implemented properly, a change to the positioning and brand promise of a company has major consequences for the organization. Everything is adapted in line with the organization’s new strategy and promise, its products or services, HR policy, customer contact, corporate identity, and so on. Rebranding makes this change visible for all stakeholders. We saw an example of this with Gamma, which repositioned itself by moving away from traditional home improvements (DIY—do it yourself) and towards interiors and enjoyment. In some cases, rebranding is necessary so that a brand can also be used internationally. This may be because the brand name is too specific to a particular country. In certain countries, a brand name may also conjure up the wrong associations. Organizations that sell the same products in several countries, but under different brand names, are also increasing­ly opting to use one brand internationally. Famous examples include the rebranding of Jif to Cif, Smiths to Lay’s, Raider to Twix, and Postbank (which was only used in the Netherlands) to ING, the brand that is used everywhere internationally. For some companies, changes in the marketplace mean that their very existence comes under threat. The digital transformation of society in par­ticular is making it necessary for certain sectors to reinvent themselves. Different requirements call for a different product to be offered. One example, also in the Netherlands, the Free Record Shop, adapted its logo, corporate identity, and retail environment to give its brand a boost. If a brand has a bad reputation and this is having a serious impact on its operating results, rebranding can ensure that negative associations with the brand are ameliorated or dispelled. It is important here that changes are implemented both internally and externally. This is the only way that a rebranding project can remove any negative associations with the brand and succeed. The rebranding of VendexKBB to Maxeda is one example of this. Developing a brand may in itself also lead to a rebranding. This may be because the new style is too similar to an existing brand, for example. Such a situation was faced by Multimate, which, after its rebranding, lost a lawsuit against IKEA as the two brands had become too similar. Multimate had to make sure that its new logo was no longer visible within a period of six months. Another reason is that aspects of a rebranding can sometimes be so negatively received by internal and external stakeholders that it stands in the way of the organ­ization’s success. One example involved the identity change by Gap clothing company, which decided within one week that it would keep its original logo after all. A new CEO often brings a new lease on life to an organization. This may result in major organizational changes that also influence the course the company takes. Such a situation arose at Apple, for example, following the return of Steve Jobs in 1997. At that time Apple had to change in order to survive. Jobs himself took a hand in choosing the new logo, which changed from the rainbow-colored apple to the more modern metallic variant, in addition to steering the company’s shift in the modern era. One of the most common reasons for undertaking a corporate rebranding project is modernization. Trends mean that over time brands come across as old-fashioned if they have not been updated. Although in many cases it is not the main reason, a more modern image is often one of the motiva­tions behind a rebranding project. Over the years, some organizations develop or acquire new brands. In time, this results in a broad brand portfolio that is no longer coherent. Fur­thermore, carrying many different brands often leads to high costs when it comes to maintaining and promoting the brand. In such cases, rebrand­ing ensures that the entire brand portfolio is brought into line and tells a clear story about the organization. A number of years ago, USG People rationalized and coordinated its brand portfolio in this way. Years ago, for the majority of organizations, a corporate identity consisted of just a logo, a primary color palette, and typography. Brand elements such as photographic style, visual language, and a secondary color palette had not been defined back then. This meant that there was a great deal of freedom when it came to applying the elements, with the result that the brand expressions ultimately became misaligned. In such cases, the further development of an organization’s brand is a must to ensure it is coherent and recognizable. The Blake Project Can Help: We have extensive experience helping organizations rebrand. Please email us for more.